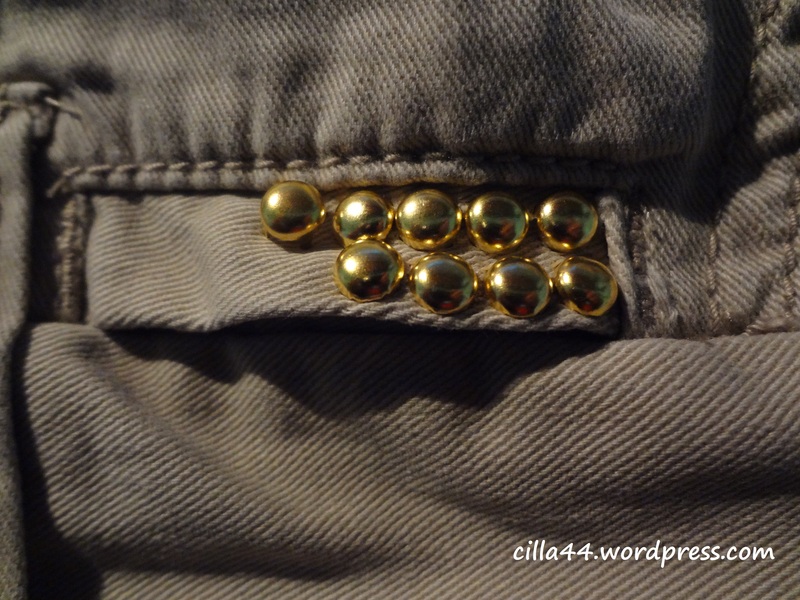 This post will show you what you can do with a pair of thrifted shorts ($4) and some basic tiny studs from your local craft store. 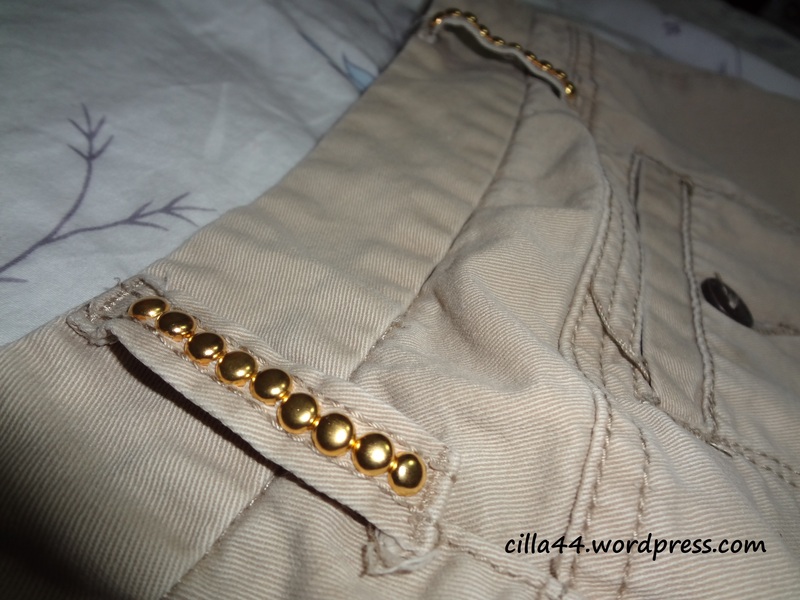 This post was meant to give you some ideas on how you could stud shorts with smaller studs, and it also didn’t take me long to stud these shorts so this tutorial is completely easy and do-able. I went thrift shopping a few days ago and bought 3 pairs of shorts. 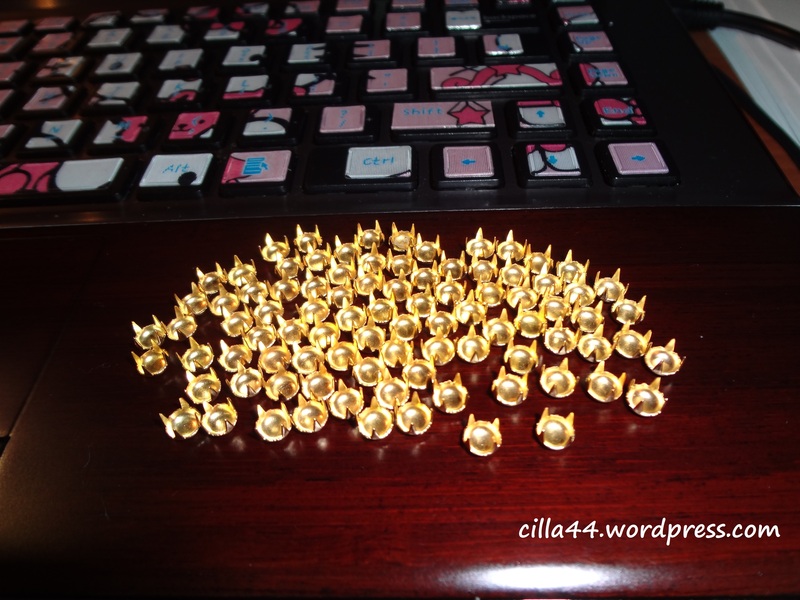 I also bought tiny fabric studs since studs are in this time of the year and I thought that I would be able to find a ton in the crafting stores…I was wrong haha. 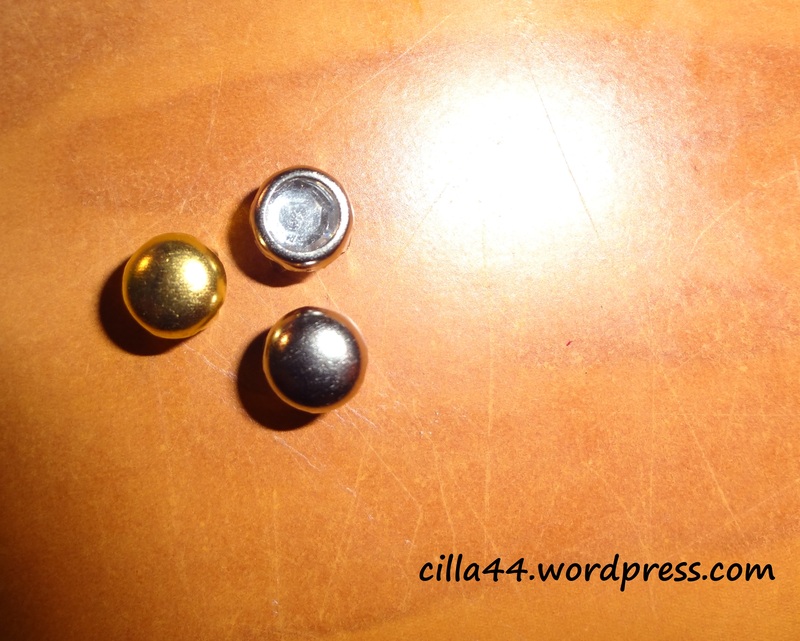 These tiny rounded studs cost $10 altogether and they were the only fabric studs I found at Micheal’s that weren’t iron-on. As you can see I’m stuck with working with these three types of studs until the ones that I bought from eBay come in. 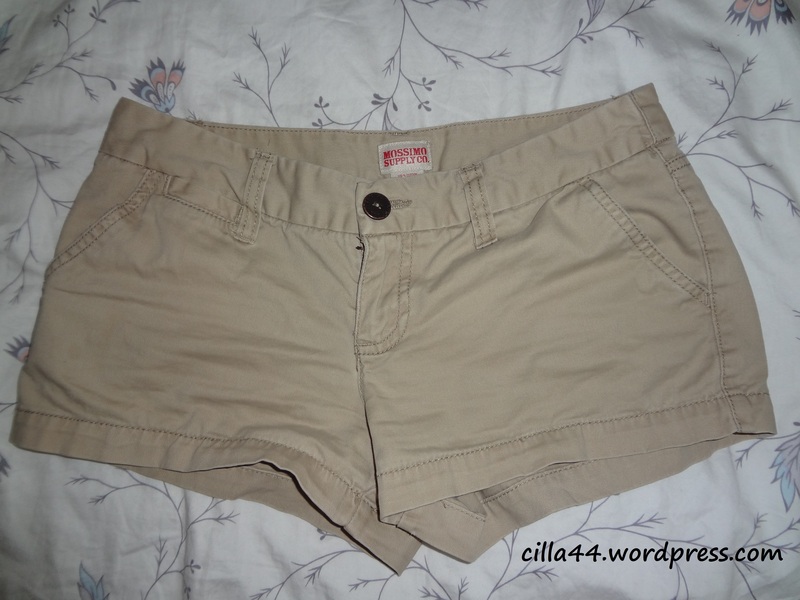 I’m a really impatient person when I’m in a crafting mood so I did what I could with one pair of beige shorts I thrifted. 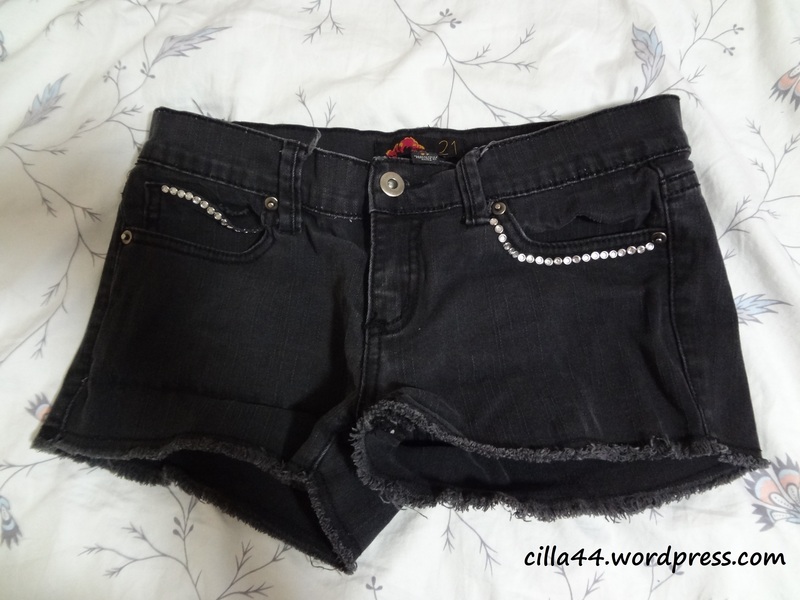 All you will need for this tutorial is a some type of clothing (shorts in this case), metal studs, and a pair of pliers. 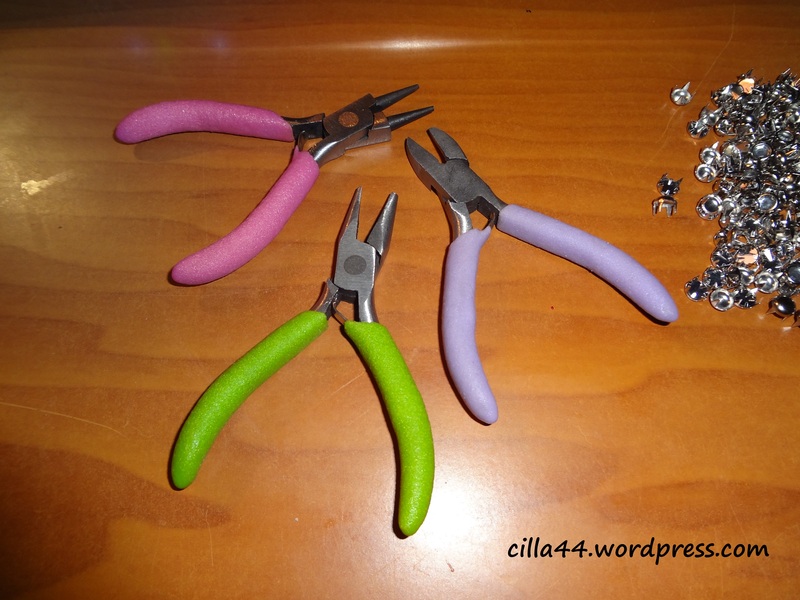 I bought this set of crafting pliers from Hobby Lobby for around $10. They have come in handy already, so they are a good investment. I used the pink one for this project. So basically all I did was look at where I wanted to place my studs on the front of the shorts then started jabbing the prongs into the fabric and bending them down to secure them into place. Some fabrics are thicker than others so you might have to push the studs in harder each time to get it through to the other side. 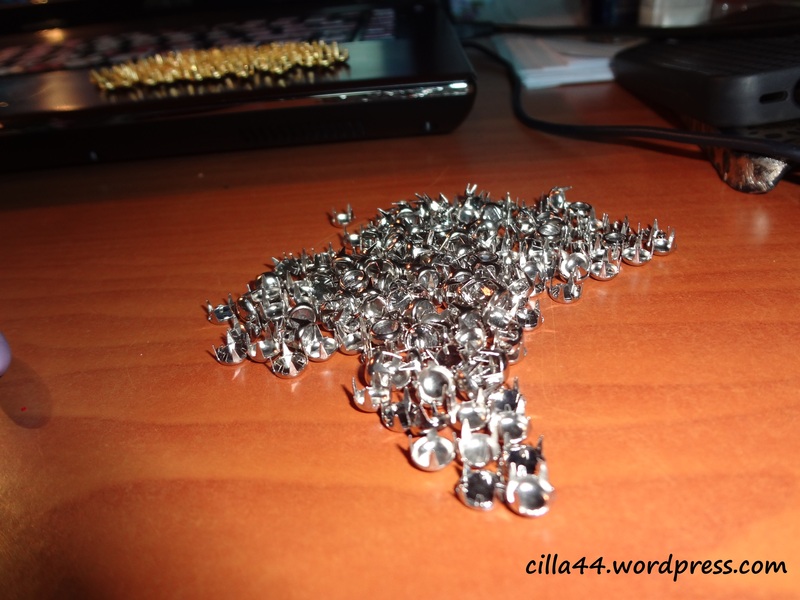 If this is the case and you want to use a lot of studs then your hand might cramp, so take a break. 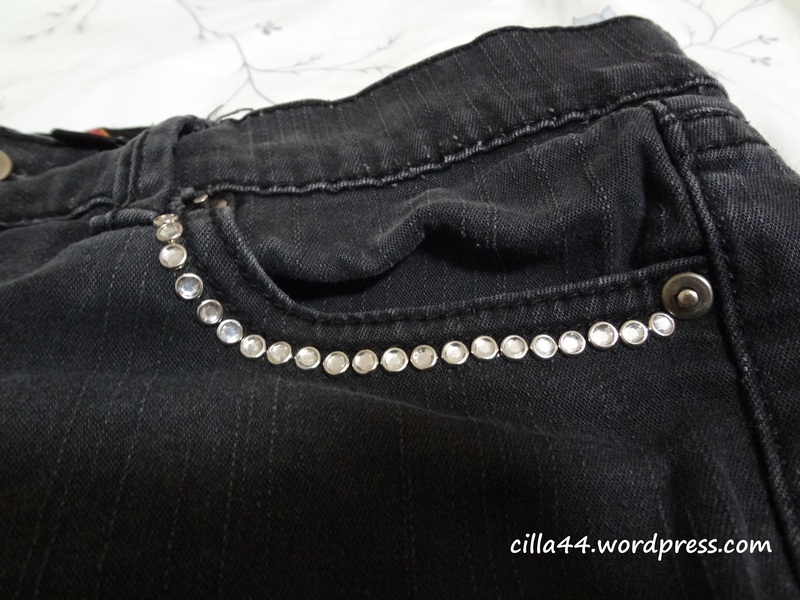 The fabric will stretch if you place the studs tightly together. 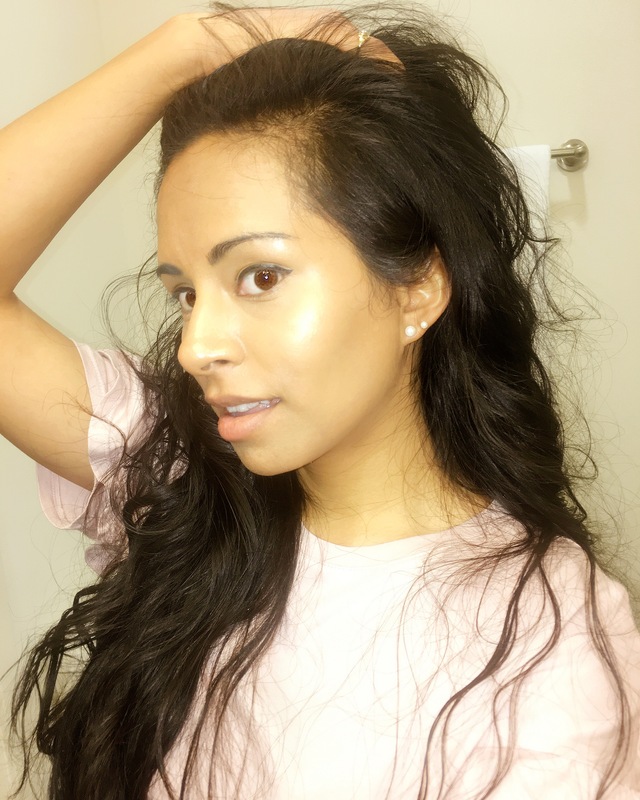 This could change the end result of the look you were going for. 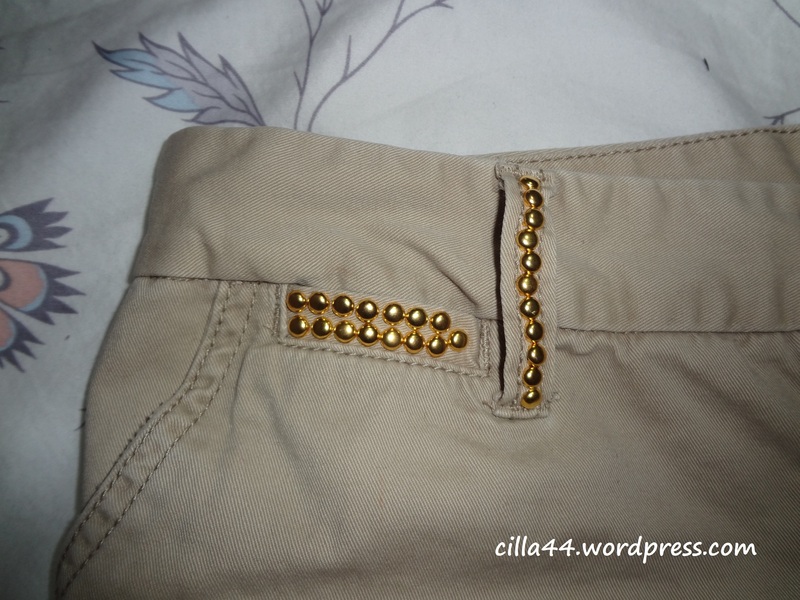 Your studs won’t be perfectly aligned each time, but it’s okay because it’s done by your hands. 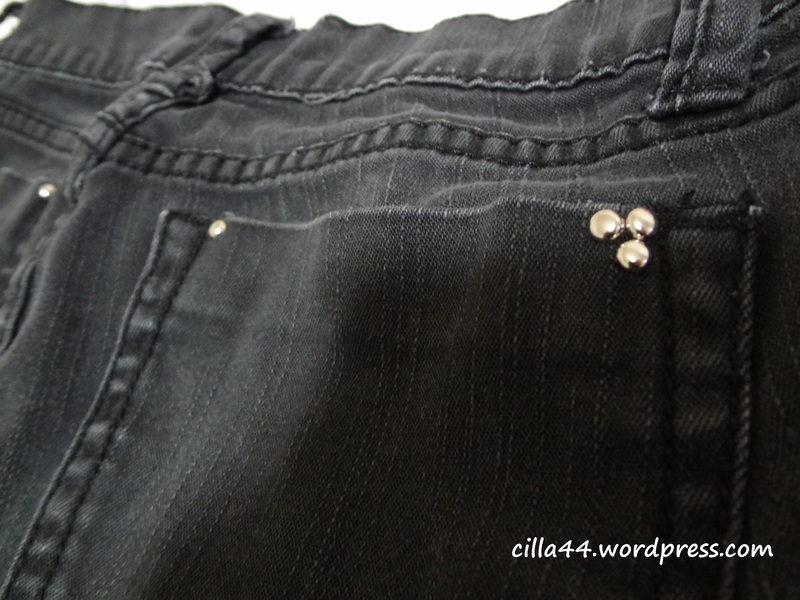 Make sure that each prong on the stud is bent down so that they won’t poke you when you wear your garment. Your finger nail polish might chip off. I think that’s about it. 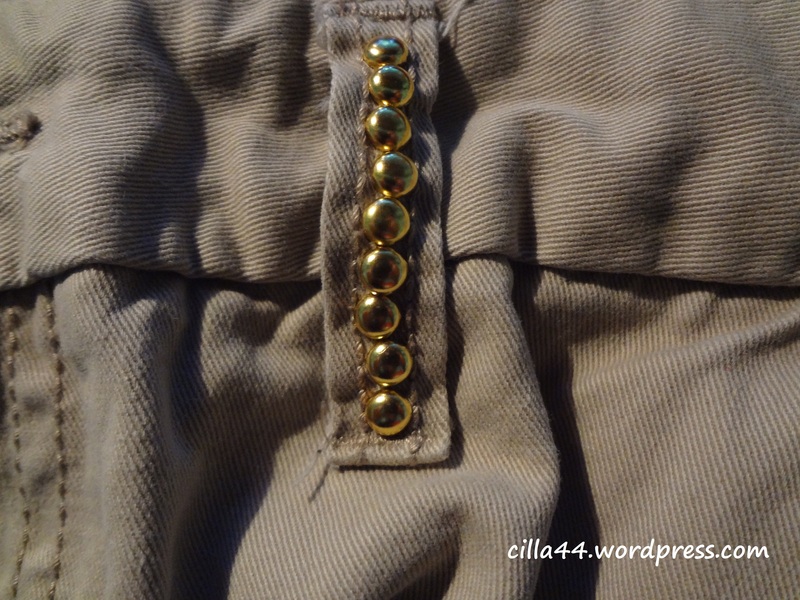 All you have to do is push the stud into the shorts then bend the prongs. It’s as easy as that. 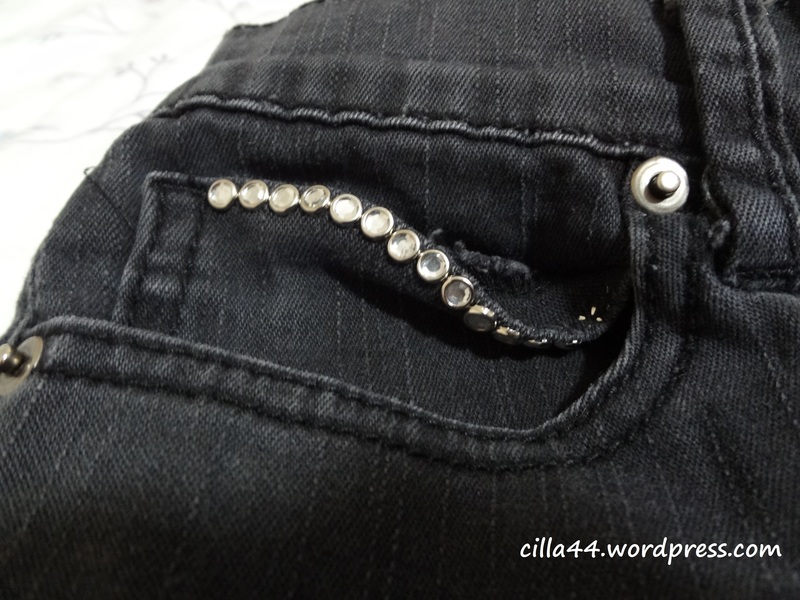 Of course this design is simple since I’m waiting on my other studs to come in, but hopefully this inspires you to revamp an old piece of denim that you haven’t worn in a while. 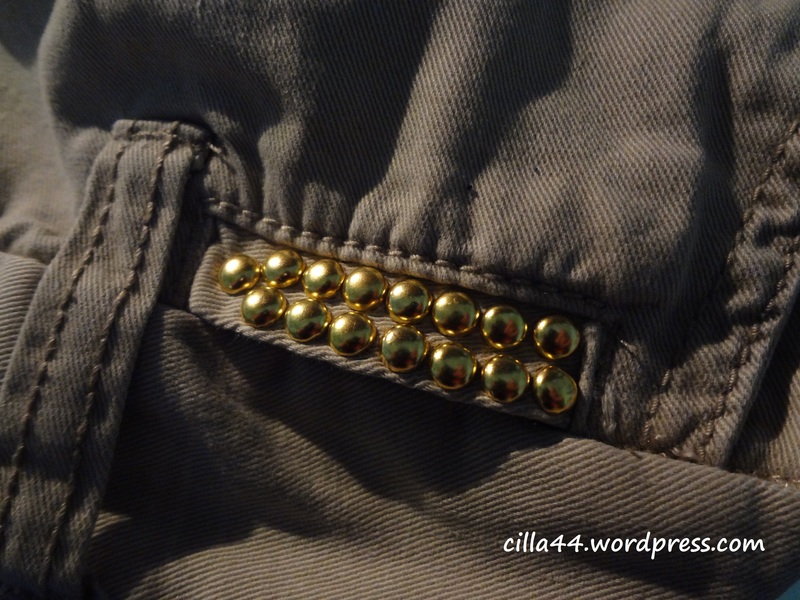 And here’s another pair of shorts that I bought from Forever 21 a few years back that I studded with the non-rounded silver studs. These shorts are pretty simple too but I think that I’ll keep them that way.